Marvel vs. Capcom Infinite is coming next year? Yay! The X-Men will only be available in the future as DLC? Boo! A lot of gamers’ dreams came through on December 3 of this year as it was revealed that Capcom was indeed in production of a new Vs. fighting game. 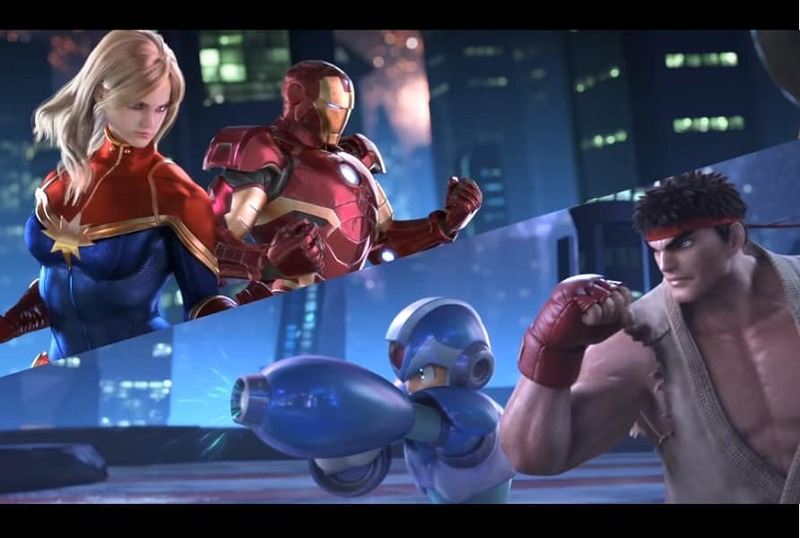 During the PlayStation Experience keynote, Capcom gave us a glimpse of what Marvel vs. Capcom Infinite looked like. The trailer showed Megaman X teaming up with Ryu battling against Iron Man and Captain Marvel/Carol Danvers and it looked great! However, even though I was excited and incredibly hyped after watching the video, I do have to ask one question: Where’s Wolverine? Well, if the rumors are to believed, it looks like he as well as any of the X-Men won’t appear in the game when it’s released and they’ll only be available as DLC. And, as a fan of the series, this is a dumb decision for so many reasons. For one thing, the X-Men, especially Wolverine, are pretty much synonymous with the Vs. games. The series did officially launch with X-Men vs. Street Fighter way back in 1996, a long two decades ago. The name already suggests that the series has its roots with the X-Men. However, the actual battle system and gameplay mechanics originated from the 1994 fighting game X-Men: Children of the Atom! Ever since then, there has always been one particular character that’s been part of the Vs. roster: Wolverine. And I mean literally every single Vs. game! I would go so far as to say that Weapon X is the poster boy of the Vs. games! So, excluding him from the lineup at launch would be incredibly strange. It would be like a Street Fighter without Ryu, a Mortal Kombat without Scorpion or Sub-Zero or a Tekken without Heihachi Mishima or Paul Phoenix! Also, Marvel and Capcom would be limiting their roster if they actively decide to cut out the X-Men. Not only would you not have mainstays like Wolverine, Storm and Sentinel, you’d also be getting rid of more recent fan favorites from Marvel vs. Capcom 3 like X-23, Deadpool and Phoenix. This will also remove the possibility of Marvel vs. Capcom Infinite including characters from previous games on Day 1, such as Juggernaut, Marrow, Gambit, Psylocke, Sabretooth, Cyclops, Iceman and Spiral. And what about the X-Men who have yet to be featured in a Vs. game like Bishop, Beast, Shadowcat, White Queen and many more? These are just some of the characters that fans have been begging to be included many times before! I feel this is the workings of Marvel’s parent company, Disney. It’s Disney that is pushing to only have the superheroes that can only be found from the Marvel Cinematic Universe in Marvel vs. Capcom Infinite initially. Yes, they are a hot property. But you know that part of the reason has to be because of the lack of control they have with the X-Men property. Marvel sold the movie licensing rights to Fox way before Disney purchased the comic book company. Now, it seems like Disney has been actively trying to downplay the X-Men property. They would, of course, promote the licenses they fully own and minimize the exposure of the ones they don’t. This is just me guessing why they’re doing this but, if it’s true, it’s a stupid decision. Whether or not Disney or Marvel have the movie rights to a property or not shouldn’t be part of the decision-making process on who’s going to be included in a video game. What should matter is how well suited they would be for the game. All of the money the game will make will still go to Disney/Marvel’s pockets! It also seems shortsighted to just think that the game will indirectly promote Fox’s movies. Doesn’t that kind of thing work both ways? Aren’t Fox’s X-Men films also serve as advertisements for your comic books and other media that include those characters? Heck, I say include mutants like Havoc, Nightcrawler and Sebastian Shaw! These were some of the characters that appeared in the Fox films and there just be a few people who’s minds would be blown if they were selectable on Day 1! I’m not saying Marvel vs. Capcom Infinite is going to be a lousy game if it doesn’t include any X-Men character when it’s released. I’m sure there are a lot of people who are going to enjoy it sans mutants when the game is released. Oh, and I know a lot of fans are going to immediately purchase them as DLC so you can make extra cash. But, at the same time, it seems really shortsighted to not have a few X-Men as part of the starting selectable roster of characters. The X-Men have been part of the Vs. games ever since the entire series started. Why stop now? At least give us Wolverine. You owe it to him.